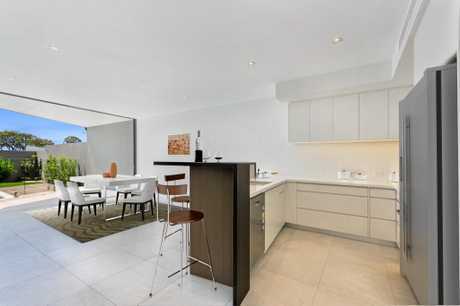 THE epitome of the perfect urban lifestyle designed by award winning, local architect Tim Ditchfield. Offering a luxurious residence to reflect spacious coastal living with a well considered floorplan. An exciting street scape from all angles this three-storey home spans over 300sq m on title. Walk five minutes to the water's edge for morning exercise or coffee. Noosa Village Shopping Centre is 100m away with cafes and restaurants dotted along Gympie Terrace and Thomas Street to the yacht club all within an easy walk. Orientated towards the northerly aspect, this home is cleverly designed with semi-enclosed balconies capturing cooling breezes and offering connection to nature yet enjoy unique privacy from all levels. A private pool and recreation area has been enclosed by lush gardens. There are elegant interiors, custom-built cabinetry and AEG appliances, dual master retreats and/or a multi-purpose media/office. Semi-enclosed decks provide living spaces in all conditions and the residence is serviced by a well-equipped laundry. A private lift shaft has been converted to storage rooms on three levels. Security gated access for vehicles and covered pedestrian walkway, the property has dual garages, internal access, high ceilings and ducted air-conditioning. In all there is 64sq m of decks and courtyards. 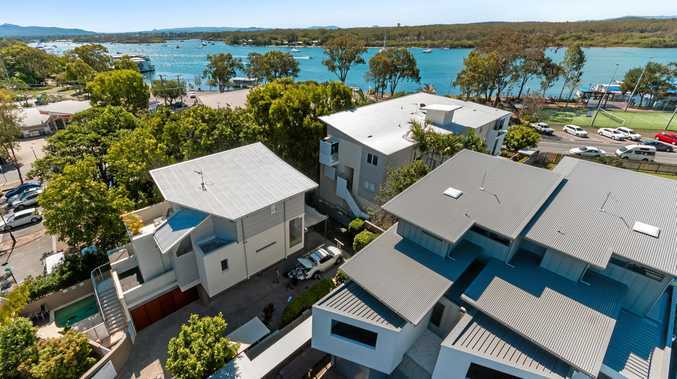 Located quietly just one street away from the water's edge, this home offers the choice of your family's residence, holiday home or investment property in the heart of Noosa's unique river precinct.